The model - this model was released in Hong Kong on 7th February 2007. 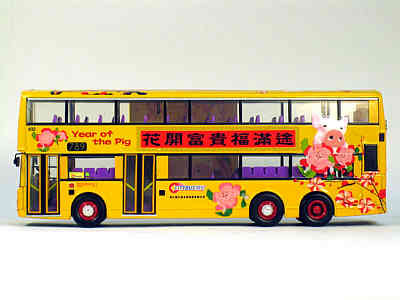 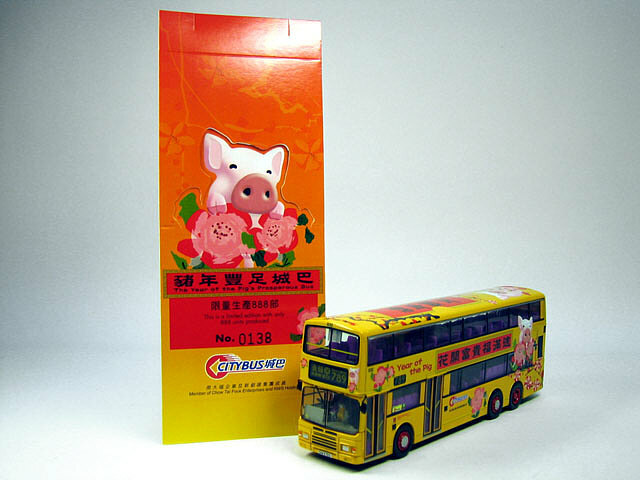 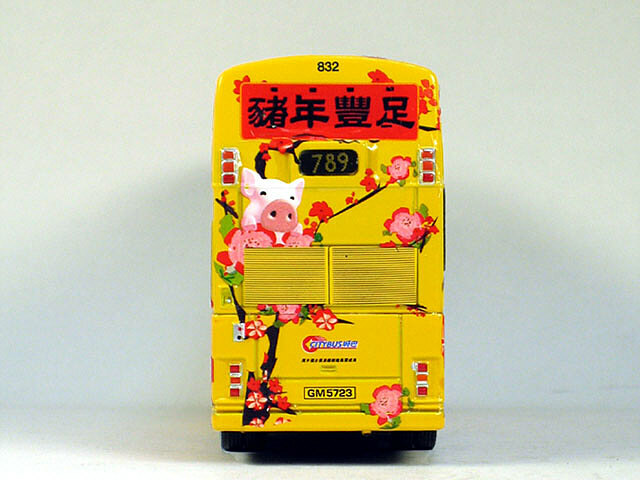 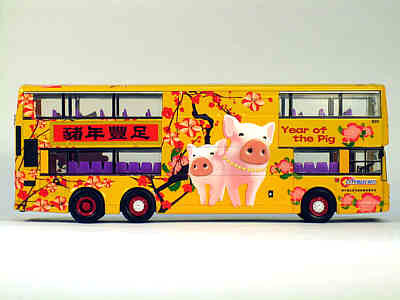 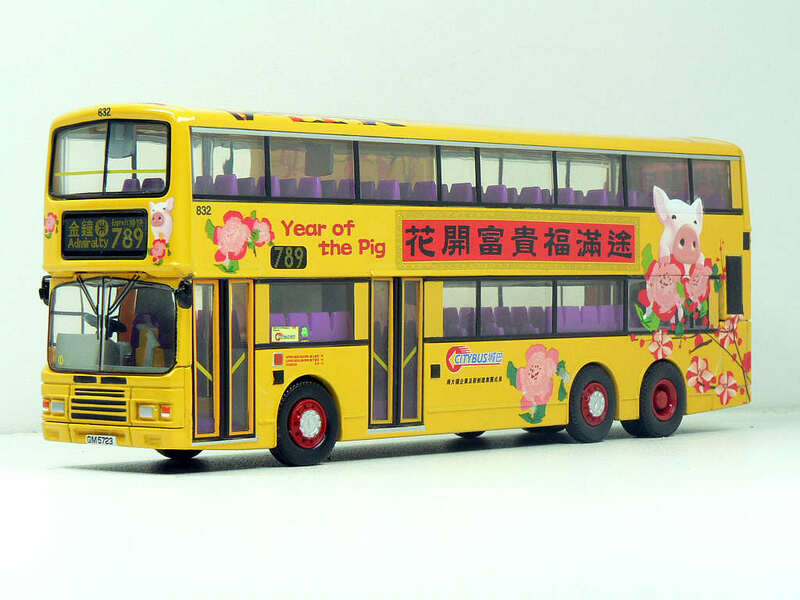 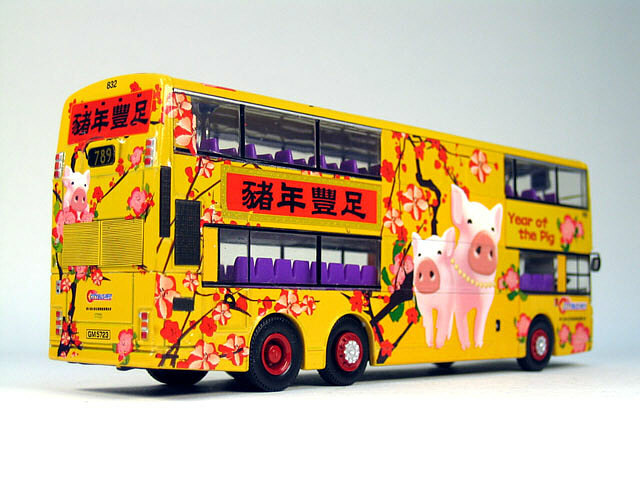 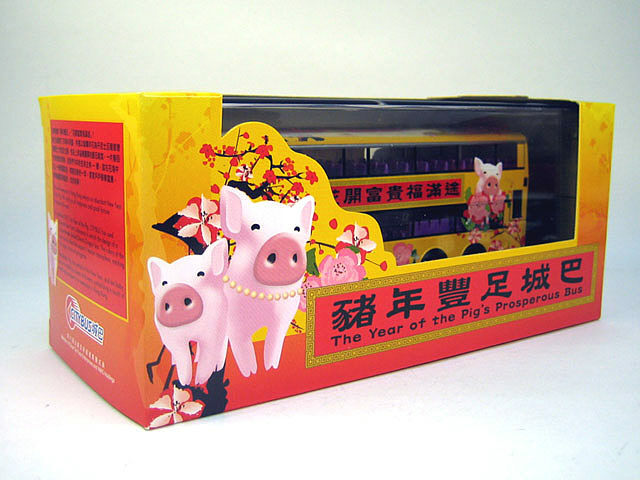 New World First Bus and Citybus have again decided to apply the same 'Year of the Pig' livery to their vehicles, as they did last year. The New World First Bus (20019) model can be found by following the link. 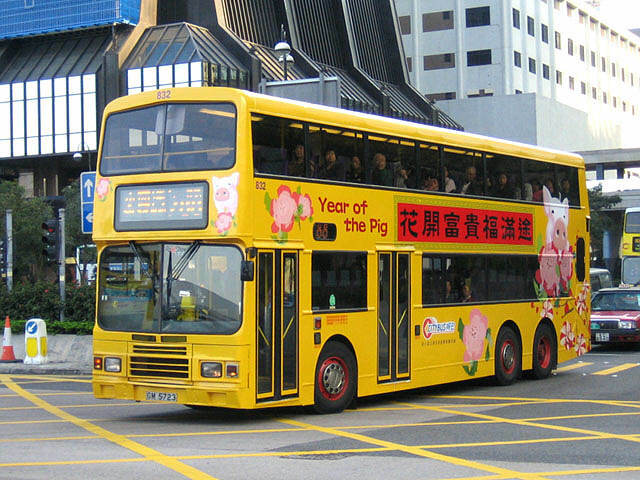 The bus - 832 is one of eighty 12-metre Dennis Dragons delivered to Citybus between 1995 and 1997. They carry Metal Section (Metsec) bodies, which were assembled in Portugal, and also feature Alexander style front ends. 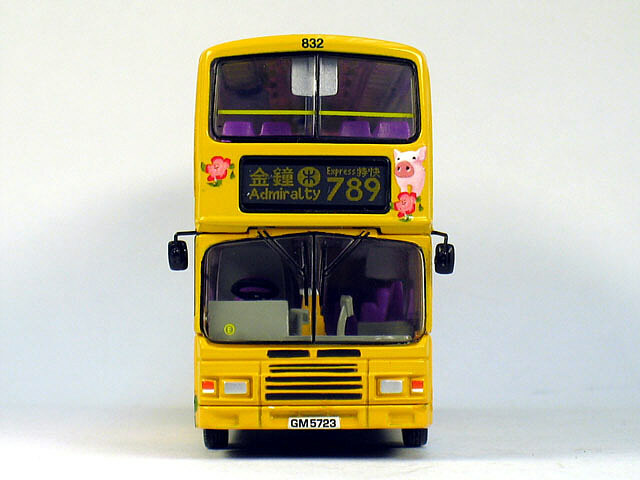 Fleet nos 801-829. have a 3+2 seating layout, whilst 830-880 have 2+2. 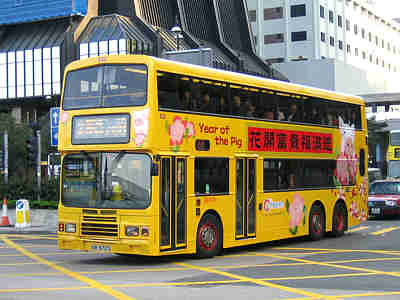 832 entered service in August 1995. 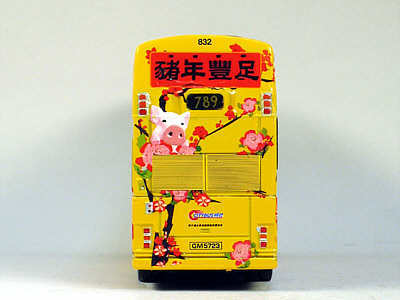 832 emerged in it's 'Year of the Pig' livery on 27th January 2007.